With thousands of students on their way to the University of Cambridge over the next couple of weeks, Oxbridge interview season has officially begun. 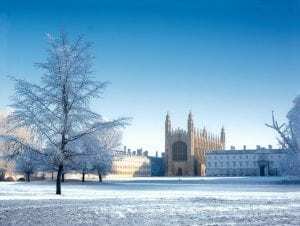 Our top contributor and first-year Cambridge law student Aditi shares her winning advice for securing an offer from the best university for law in the country. Let’s just move past the fact that you are most likely not going to come out of your interview feeling like everything went perfectly. Instead of trying to tell you how to have a perfect interview (because I definitely didn’t), here are some ways you can make yourself feel a little more ready, and hopefully find your way into one of the best universities in the world! This may seem like arbitrary advice, but think of your personal statement as your secret weapon. It’s that one piece of writing you (hopefully) know inside out, since it’s about yourself! Some interviewers may ask about it, like mine did, while others may not bring it up at all. Regardless, go through your statement and make sure you could potentially discuss any part of it that comes up and expand on some points you didn’t get to write about fully. This is a great way of feeling prepared for the interview as even if a lot isn’t mentioned about it, you always have the security that you could talk ample amounts about it if necessary. Prepare for the Cambridge Law Test with help from TLP – read our free guide here! Don’t be in a huge rush to reach the right answer. Often with the kinds of questions interviewers ask, even if it is directly related to something written in a statute, there will be different ways of approaching the question. Your interviewer is much more interested in the method and reasoning you use to reach a conclusion as opposed to the answer itself – so think aloud and talk them through your thinking process! If you talk through your answer, you’re much more likely to have a more defendable argument and can probably pick up where you’re going wrong so you can correct yourself along the way. Also, if you show your reasoning, often interviewers can then help you find the correct answer by pointing out an alternative line of reasoning or asking you to pay closer attention to specific wording of the legislation. Don’t take this as them trying to criticise you! This is simply their way of pushing you to really justify your answer and reach a strong argument by the end of the question. There is such a huge amount of reading you could do to prepare for your interview that sometimes its hard to know what’s needed and what isn’t. Everyone will do things a little differently, but generally a great way to feel prepared is reading a few articles a day. In particular, I found The Guardian’s law and politics sections extremely useful for keeping up to date with what was happening in the world and specifically some controversial judgements. However, there are many, many possible sources you could use, so just find information that is understandable and interesting to you! 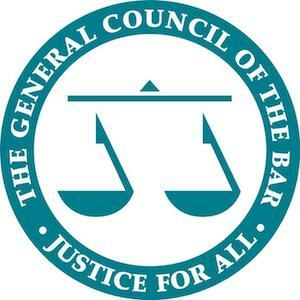 Don’t expect to understand every part of a judgement or legal article (that’s what the law degree is for), but a general working knowledge of the world around you not only makes you feel more confident walking into the interview, but also could be useful to apply to any scenario-based questions you’re given. Get ahead with our Monthly Law News Summary for November! No I don’t advise lying, I just thought this would be a slightly more exciting way of saying do mock interviews! A great way to prepare for your interview is doing practice versions of it, even if you don’t know what exactly might come up, it’s useful placing yourself in that kind of pressure situation. Try practising with someone you know really well so that they know the kind of questions that might catch you out. You should also try practising with someone you don’t know too well so that you can judge how you respond to an unfamiliar face. You can get your mock interviewers to focus on different aspects of your actual interview and also ask them to make it difficult for you. It’s much better that you find a mock interview as challenging as possible so you feel calmer in the real thing! Some of the best advice I received was to imagine you’re walking into your first supervision. Although that can be scary in itself, ultimately your interviewer is most likely going to be one of many supervisors you will have, so what they’re really looking for is to determine whether you’re teachable. This is important because no one expects you to have all the answers, and yes, you will be caught off guard on occasion, but one of the most important qualities in an interview or supervision is being able to adapt to any difficulties that come up. So, don’t be afraid to take a moment to compose yourself and carry on, as this shows you are able to handle learning in such a personal environment. Lastly, good luck and enjoy yourself – you wouldn’t have been selected for the interview if someone didn’t think you were wholly capable of excelling in it!